This poster for Buried City To Shut All Lights 等到烟暖雨收 that I’ve never had time to put up because the drama is too boring to make another post for. Random posters, stills, and photos that caught my eye lately. Any that caught yours? A poster for currently filming idol drama 与其微醺何不醉. I really want to translate this as Why not drunk, but I’m willing to consider other names. It stars Song Yiren and newbies. I’m picturing a film of three neighbors living in an abandoned motel turned rundown apartment in the red lights district. Li Qin is a small town college graduate at her first job, trying not to lose herself among the lights of the big city; Dilraba is an aspiring actress who has run away from her affluent home to pursue her dreams, only to be turned down again and again; Ni Ni is a singer/dancer at a nightclub who has long given up on any dreams she might’ve had. This cover would be perfect if a child didn’t color in the title. Dilraba proves once more she always deserves a crown in this photoshoot by Liu Song. Shawn Dou plays Hou Yi, an archer who shoots down nine out of the ten suns to save the world. Dilraba and Shawn Dou star in The Saga of Light 日月, a rom-com retelling of the legend Hou Yi and Chang’e. Directed by Jin Yimeng, the film is the first I know of that puts them in semi-prehistoric gear rather than just hanfu. Shawn Dou plays Hou Yi, an legendary archer who shoots down nine out of the ten suns to save the world. His reward was a pill of immortality that was instead eaten by his wife Chang’e (Dilraba), who became the goddess of the Moon. The film has just wrapped up filming and is set for a summer 2019 release. It has come to my attention that China has yet to adapt Aladdin, and Dilraba would be perfect as Princess Badroulbadour. I was again stricken by how gorgeous Dilraba is in this Dolce and Gabbana dress, and since I’m been in a Disney princess mood, I thought about how she could’ve been a decent Princess Jasmine. Until I find enough money to produce a Chinese Aladdin, watch Dilraba in upcoming film Namiya in major cities in the U.S., Canada, and Australia. Also, here are some Princessy photoshoots of Dilraba. Teenagers take over the covers of fashion this year. Photographed by Chen Man, these youngsters have already shown that they’ve got both fame and the looks for the job. On the cover we have actors Liu Haoran (19, Chinatown Detective), Chen Feiyu (17,Secret Fruit ), Ouyang Nana (17,Secret Fruit), Guan Xiaotong (19, The Left Ear), Yi Yangqianxi (16, TF Boys), and post-teens Xia Chun (24, Port of Call), Wang Jia (25), and Dilraba (25). Which group had the best photoshoot? Liehuo Ruge / The Flame’s Daughter / Agni Cantabile has released its first stylish teaser. Dilraba (Mr Pride vs Miss Prejudice) stars as Lie Ruge, a young woman who gets romantically entangled with Vic Zhou (Z Storm II), Zhang Binbin and Liu Ruilin (TLTWTMPB). 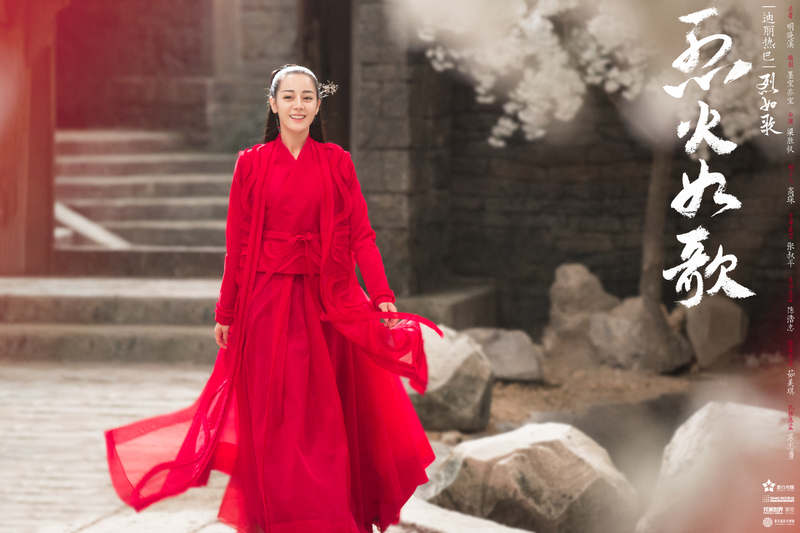 The King’s Woman 丽姬传 has released more images. 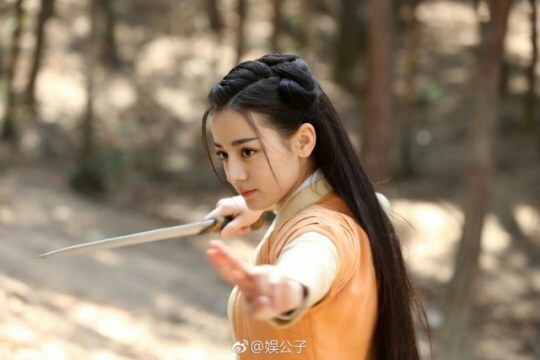 Starring Dilraba Dilmurat, Zhang Binbin, Li Tai, Liu Chang, and Zhang Xuan, another look at this era for those interested.